Following the success of our Christmas fEAsT we have decided to do something similar at Easter. 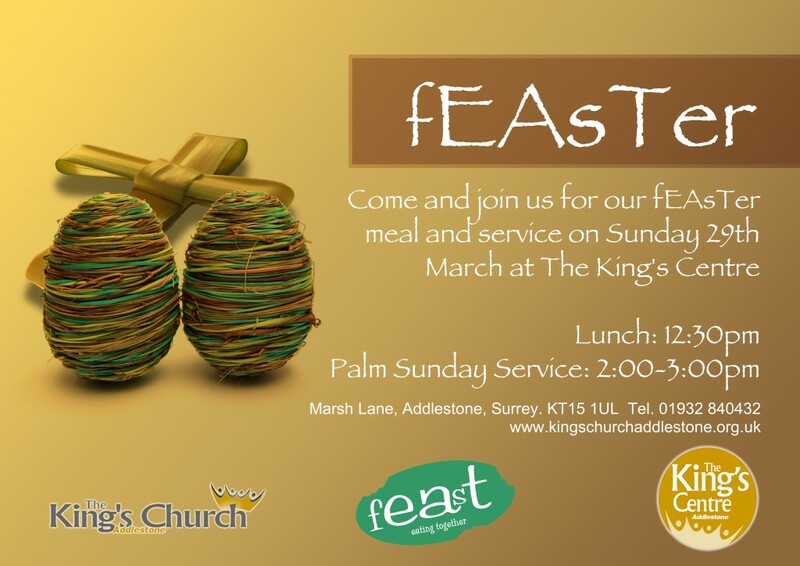 So join us for our fEAsTer meal and service as we celebrate the Easter season together on 29th March. *Please note there will be no fEAsT on the the first Sunday in April (5th). The next fEAsT after fEAsTer will be on 3rd May.